This plant is a bushy, smooth, fetid, annual plant, two or three feet in height, and in rich soil even more. The root is rather large, of a whitish color, giving off many fibres. The stem is much branched, forked, spreading, leafy, of a yellowish-green color. The leaves are large and smooth, from the forks of the stem, and are uneven at the base. The flowers are about three inches long, erect, large, and white. The fruit is a large, dry, prickly capsule, with four valves and numerous black reniform seeds. 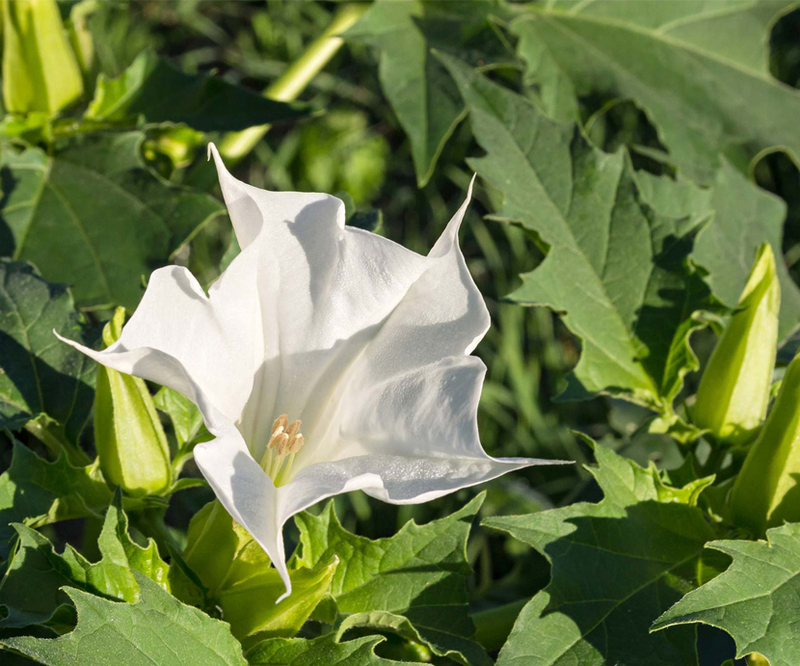 There is the Datura Tatula, or purple Stramonium, which differs from the above in having a deep purple stem, etc.